The new Felicitá is based on Montegrappa' s top-selling Fortuna design. It is more slender, lighter and shorter than its patriarch, but has the same balance. Felicitá comes in four unique pearly resin finishes with stainless steel trim. Fountain pens, rollerballs and twist-top ballpoints in deep blue, fire red, dusty pink and caramel gold. This is not a heavy pen. It features a nice balance and falls naturally into a comfortable grip; a perfect fit. The Goddess of Fortune, Fortuna, now has a new, stylish look. Blue resin is trimmed in rose gold, a distinctive, yet refined combination. Fortuna was revered because ancient Romans who lacked virtue were believed to bring ill-fortune both on themselves and Rome. Establish your fortunes with a fountain pen, rollerball, or twist-top ballpoint in rich black or blue resin. The gunmetal trim is offered with black; rose gold trims either the black or blue body. All three options are striking. Fountain pens and rollerballs feature a screw on cap and all the models include the Montegrappa roller on the clip to make pocketing a natural, smooth motion. Whether given to test fate or to recognize character strength, the Fortuna is a truly inspirational gift. Montegrappa continues to impress by introducing the Game of Thrones. For years, you may have followed HBO's award-winning, fantastical adaptation of George R.R. Martin's hit novels. Now you too can be part of this epic story. Whether you choose to use a remarkable piece for every day at the office, at home to write fiction, or to generously gift to a GoT enthusiast; we promise you a thrill. The Montegrappa Game of Thrones fountain pens, rollerballs and ballpoints display beauty fit for royalty. Declare allegiance to House Baratheon, Lannister, Stark, or Targaryen – each equally spectacular, while displaying their respective motto, sigil, imagery and patterns you're bound to recognize. Small details from top-to-bottom will have you recalling all of your favorite moments from HBO's grand saga. All pens arrive in an alluring double gift box distinguished with your chosen house theme and containing layers within, displaying historical patterns that those familiar with the Seven Kingdoms are sure to appreciate. Montegrappa rollerball pens feature a separate cap and body design; the Nero Uno and Privilege models in the renowned octagonal shape. 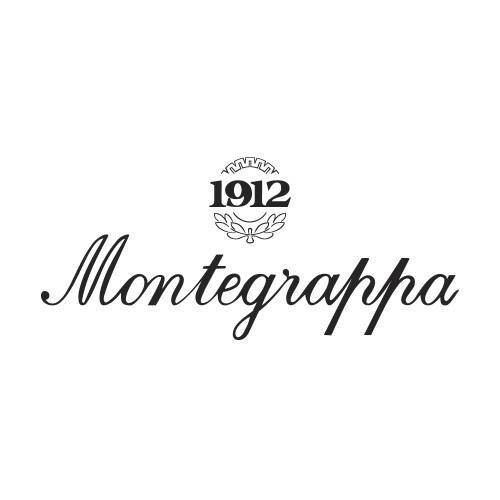 Your Montegrappa rollerball pen use a Schmidt capless rollerball refill available in black, blue and red inks.